Square One Education Network hosts a number of events every year. These include high quality Professional Development as well as student competitions. For the last three years our students have been competing in their Autonomous Innovative Vehicle Design Competition. The goal is to turn a Power Wheels Jeep into an autonomous vehicle. For this competition Square One provides the Jeep and also gives teams money to buy parts and supplies. You need some sort of a motor controller to allow your Arduino to regulate the current from the battery to the drive motors. We’ve used the Monster Moto Shield from SparkFun every year and it works like a champ. This will let you run the motors forward/backwards and give you a measure of speed control. You’ll need to solder on header pins and screw terminals, so be sure to order those at the same time. One weird thing we just discovered. We ran into a motor control problem last night that could only be solved by disconnecting an ultrasonic sensor from pin A0. So, we’re avoiding pin A0 altogether for now. The wheel encoders we found didn’t fit at all. The hole was too small, so students used a soldering iron to melt the rubber bushing to enlarge the hole. 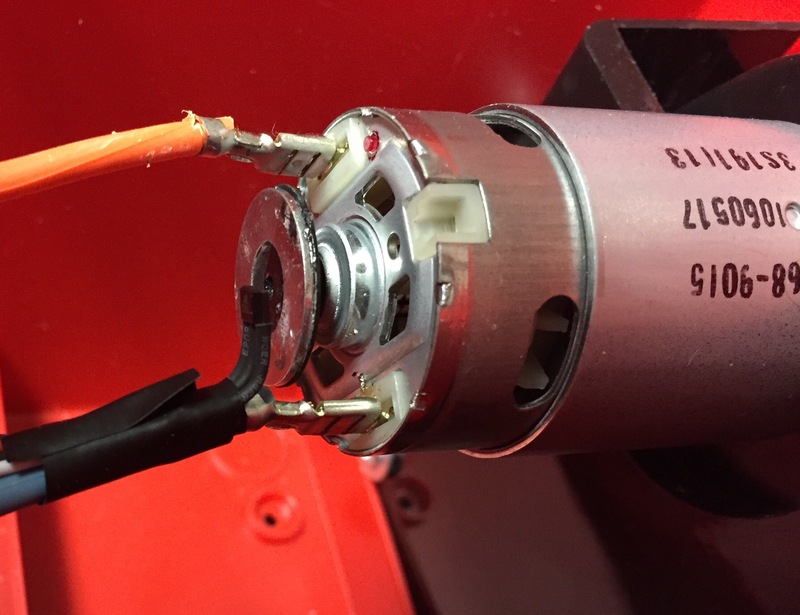 They then used a little superglue to affix the encoders to the really short shaft sticking out of the motors. Maybe next year we’ll be able to find some encoders that actually fit, but these seem to work for now. The steering servo works well. 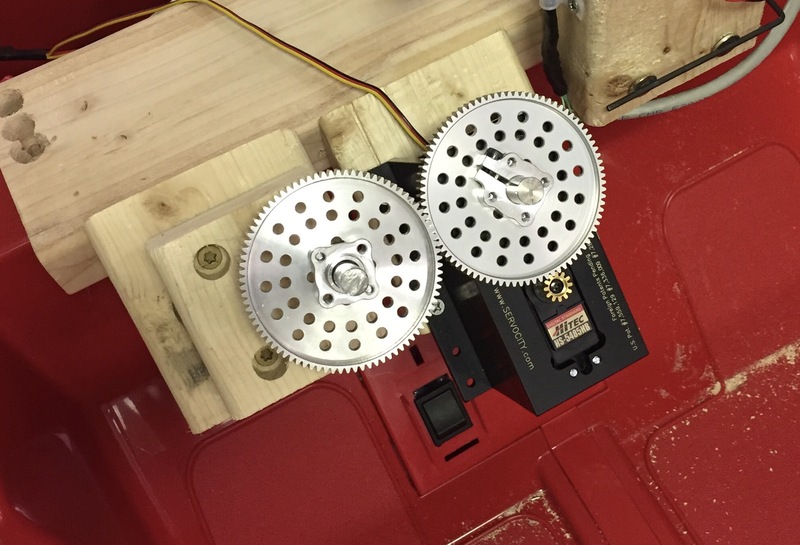 If you buy one from ServoCity they offer to assemble the servo for an additional $30. I highly recommend you take them up on this. It’s not just putting the gear box together. It includes taking apart the servo itself and doing some modifications involving soldering and cutting a bit off a gear. I’ve bought two of these over the three years. This year we paid the $30. Totally worth it! Our code is still being written. It will all end up in this Google Drive Folder when we’re done.